Alan Hable shares that his most important job in college ministry is staying out of the way of his students. What’s your ministry dream on campus? Walking around striking up spiritual conversations? Playing Xbox in the dorms? Hanging out late at Steak ’n’ Shake? Scheduling as many Gospel appointments as your schedule will allow? These are the highlights of our time on campus, right? We live for this stuff! As my years on campus have gone on, though, I’ve found that maybe my most key role isn’t spending my time doing these things. In fact, it may be just the opposite. My most important task in ministry is staying out of the way. Don’t get me wrong, I love being in the trenches and being a firsthand witness to changed lives. Thankfully, I still have opportunities for that every year. But there’s something really powerful about equipping our student leaders and then getting out of the way. In international missions, this concept makes sense. The goal is to raise up indigenous missionaries who will them become leaders in a local church. Admittedly, on campus, many of the leaders we raise up leave when they graduate, so things look slightly different for us. Here’s what staying out of the way looks like for me. 1. A lot of time texting and emailing. It’s probably embarrassing how many emails I send each week. That doesn’t even get into texts, Facebook messages, and all the other ways I coordinate with students. Most of those messages are to encourage and help our student leaders. If a new student expresses interest in something on a connection card, I could follow up with it, but my skills are multiplied by passing that along to our student leaders. Now, this does require a measure of coaching and accountability, but it’s amazing to see students take steps of faith. 2. Coordinating details. We have, as part of our ministry, a time each week where we hand out free coffee. It’s one of my favorite things and I love spending time in conversation with the new students we meet. But the best thing i can do is go and refill the supplies so that our students can talk to their peers and invite them into Gospel centered relationships. I’ve been able to stay out of the way because the model I once set for new volunteers is being set by our seasoned students. 3. Praying. By stepping back and letting students create culture in their dorms, classes, and small groups means that I’m letting them live in the college culture. So I need to commit to time praying for these leaders and influencers. 4. Being amazed. It’s not just in people ministry where I’ve seen students shine when I step back. We had a recent missions project that I was not able to devote the time to that it needed. I put an ask out to one of our student pace-setters, and she did an amazing job. In fact, I’d put money on the reality that she did a better job than I would have. There are still moments where roles need to be filled and paces need to be set. I love doing that. I think God made me for this stuff. But let me challenge you (as God has challenged me): What if you stepped off of the front lines and left a vacuum? What could you see student leaders step in and do? 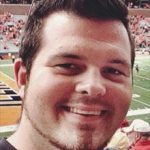 Alan is a campus staffer at the University of Illinois with Illini Life Christian Fellowship. He loves sports, the cutting edge of culture, and people...meaning, the campus is perfect for him.